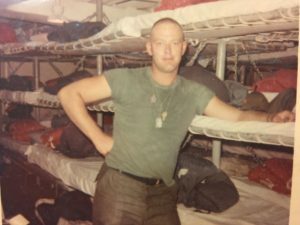 To read Part 1: Drafted and Fighting in Vietnam, click here. 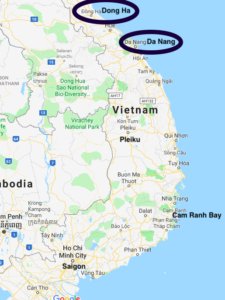 After about six months at Dong Ha, George Williams transferred to Battery A of the 3rd Battalion, 6th Field Artillery Regiment, in the general vicinity of the town of Pleiku in South Vietnam’s Central Highlands. Battery A spent a lot of time out in the field, away from its base camp. In fact, on one occasion, Battery A left the base camp for a fire mission at a Montagnard village about nine miles away. 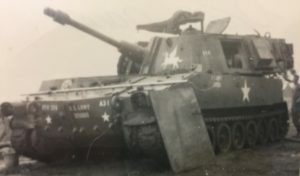 George credits this mission with possibly saving his life because while he was gone with Battery A, another U.S. artillery unit arrived at the base camp. 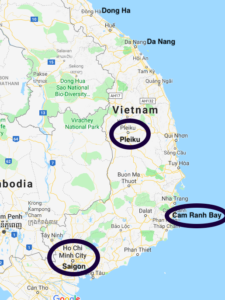 That same day, the North Vietnamese fired mortars at the base camp and many Americans from the newly arrived artillery unit were killed or wounded. 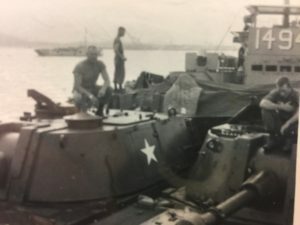 On another occasion, George’s unit was on a fire mission in the field when it received orders over the radio to get everyone inside their M108 self-propelled guns and close the hatches because they were about to be overrun. Once they sealed themselves inside, other U.S. artillery units began to bombard the area around them with a ring of fire to keep the enemy troops away. The friendly fire came in so close that George could hear shrapnel from the shells pinging off the armor of his vehicle. Sealed up inside, George couldn’t see what was going on outside and had no idea whether he would survive. Fortunately, the ring of fire worked and the enemy did not break through. George was safe. While in Pleiku, George was promoted to Sergeant and designated as his gun’s section chief. This meant he controlled everything in the gun and rode with his upper body out of the turret when the gun was driving. In this position, he could fire the M108’s .50 caliber machine gun mounted on the top of the turret. He also wore a microphone to communicate with the driver and give any necessary instructions. George got to escape the confines of his M108 once by taking a helicopter ride on a mail run near the Cambodian border. The helicopter flew so low that the pilot had to pull up to avoid hitting water buffalo grazing in the fields. When the helicopter stopped at its destination, the crew gave the unit its mail and the unit gave the crew body count information to take back to headquarters. This was George’s only experience with the body counts that preoccupied U.S. commanders and the media. One day in September 1967, George’s lieutenant started chewing him out for something. The chewing out was a ruse, because when the lieutenant finished, he surprised George by adding, “Williams, if you can get on that helo in ten minutes, it’s your turn to go home.” George had a number of souvenirs he’d planned to carry back with him, but with only ten minutes to pack, he had to leave much behind. Needless to say, he made it on the helicopter in time to start his journey home. 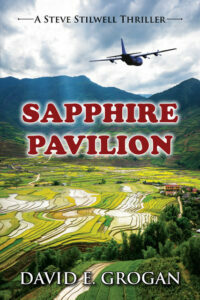 George had to wait in Cam Ranh Bay for a flight back to the United States. He got bumped three times by officers, and he didn’t sleep for three days because if they called his name and he didn’t answer, they would give his seat to someone else. Eventually he caught a flight back to San Francisco, where he stayed with his uncle and aunt for a few days, mostly to sleep. 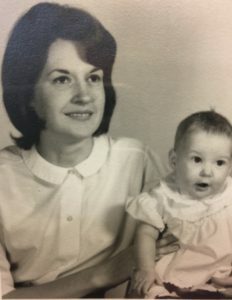 From there he flew back to Champaign, Illinois, where his wife and the nine-month-old daughter he’d never met were waiting for him. He was finally home and with his tour of duty in the Army over, he simply wanted to forget his time in Vietnam. George started back to work soon after he arrived home. He settled into his job at Sullivan Chevrolet and its successor, Sullivan-Parkhill Automotive, where he worked for forty years. He finally retired in 2004 as a Service Manager. George and Jeanette have been married for fifty-four years and they have three children and seven grandchildren. 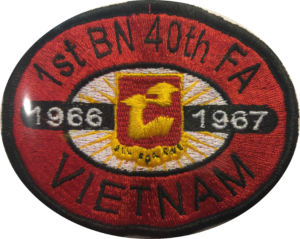 Although George left Vietnam behind long ago, he stays in touch with five brothers-in-arms who shared the artillery experience in Vietnam: Don Lawhead, Richard Svec, Jerry Zientara, Larry Ammann, and Tom Garvey. Although George would serve his country again if asked to do so, he would not wish war on anyone. 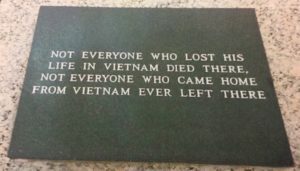 War is a terrible thing to have to go through. In looking back at his life and what he learned from his experience in the Army, George is certain that if it wasn’t for his faith in God, he would not have survived. He’s also glad his dad was a Lutheran minister—he jokes his dad might have had a little extra pull with his prayers to keep George safe. Voices To Veterans is proud to salute Sergeant George Williams, U.S. Army, for his distinguished service in Vietnam. 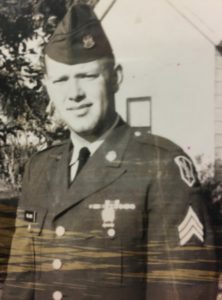 George epitomizes the U.S. citizen soldier, doing his duty when our country called and then becoming a pillar in his community after he returned home. We are thankful for George and other citizen soldiers like him!